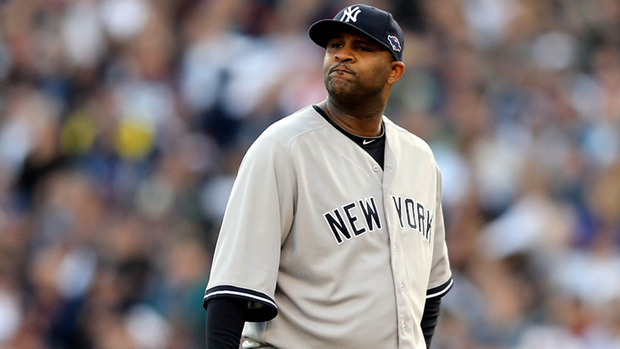 CC Sabathia will need to revert back to his former ace like status for the Yankees to compete for the AL East Division in 2014. At $23 MIL per year, he was paid based on his totals from mid 2008 – 2011 when he was one of the best pitchers in the game. In 5 years with the NYY, he is still 88 – 52, with a 3.52 ERA – despite a poor 2013 campaign, where he went 14 – 13, with a 4.78 ERA – and an AL leading 112 ER against. He is signed though 2016 – with a Vesting Option in 2017. CC Sabathia SP: 23.0 (Signed thru 2017). He makes $23 Mil also in 2015, before he makes $25 MIL for 2016. There is a 2017 Vesting Option for $25 MIL. Salary guaranteed if he does not end 2016 on the Disabled List with a left shoulder injury, or he does not spend more than 45 days on the DL.in 2017. Brian McCann C: 17.0 (Signed through 2018, with a Vesting Option for 2019 ($15 MIL), if he reaches 1000 PA from 2017 – 2018, catches 90 games – and is not on the Disabled List. Hiroki Kuroda SP: 16.5 (Signed through 2014). Signing Beltran is a perfect counter for the loss of Cano. He can split time in LF/DH with Alfonso Soriano for the 2014 year, collecting as many AB as he can. He may be able to put forth similar numbers as Cano. The Yankees must have also considered his impressive Playoff Career – in which he has a line of .333/.445./1.128 in 180 AB. The 36 year old was signed to a 3 YR deal worth $45 MIL by the Pinstripers. 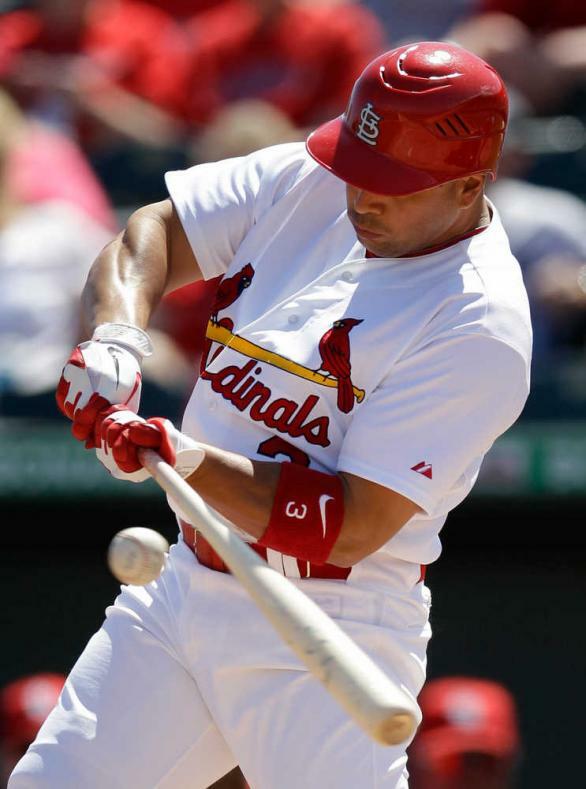 Beltran has 24 HRs and 84 RBI – with a .830 OPS in 554 AB last year for the Cardinals. Yankee Stadium should be perfectly tailored for him when hitting Left Handed. Derek Jeter SS: 12.0 (Signed through 2014). Kelly Johnson 2B/3B/OF: 2.8 (signed through 2014 and is a Free Agent is 2015. Can earn additional 250 K in performance bonuses. Brendan Ryan INF: 2.0 (Is signed through 2015 for $2 MIL for the 2 years, and carries a Player Option for $1 MIL in 2016. 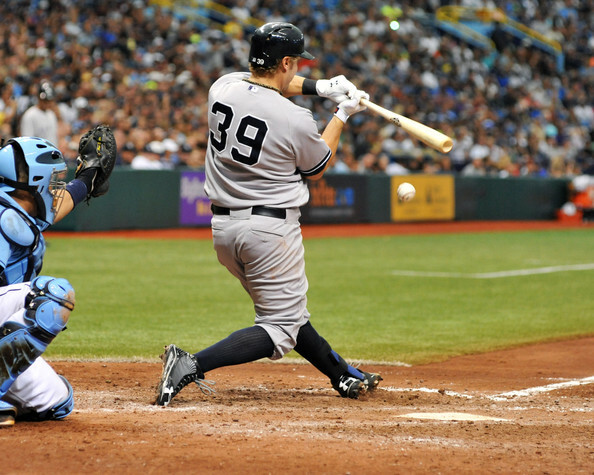 Brett Gardner CF/LF: 5.0 (Is Arbitration Eligible in 2014 and a Free Agent in 2015.) Speed guys don’t generate huge raises in Arbitration. Shawn Kelley RP: 935 K – Is Arbitration Eligible in 2014 and 2015, and a Free Agent in 2016. $2 MIL for 2014. Ivan Nova has to step up his play in the next few years for New York – like he did to end the year. He will be launched up the Depth Chart in 2014. Ivan Nova SP: 576 K – Is Arbitration Eligible in 2014 and 2015, and a Free Agent in 2016. Will likely triple his 2013 salary – and take a back end of the rotation spot. Look for him to bounce to 2.0 MIL for 2014. Michael Pineda SP: 528K (2014) This guy could be VITAL to the franchises success in 2014. He should make about $1 MIL on 2014. Francisco Cervelli C: 515 K s Arbitration Eligible in 2014 and a Free Agent in 2017. I think he should be third Catcher, and the other two guys duke it out for the 3rd string job. David Huff SP: 494 K Is Arbitration Eligible in 2014 – 2017, and a Free Agent in 2016. I would take a chance on this guy as you need 8 Starters in a year at least per campaign. Robinson Cano 2B: Signed with the Seattle Mariners for 10 YRs/$240 MIL). Curtis Granderson OF: Signed a 4 year deal with the New York Mets. Mark Reynolds is the perfect insurance the club needs. 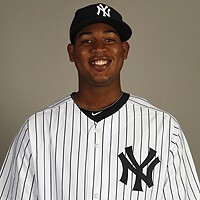 Already since he has been in the Bronx, he had played 2B/3B/1B and DH. What is Cashman waiting for? Sign this guy for 1 – 2 years at about $3 – $4 MIL per year – with some potential incentives. He can be your everyday 3B should A-Rod be gone for the season in suspension.In the Bronx, he had played 2B/3B/1B and DH. What is Cashman waiting for? Sign this guy for 1 – 2 years at about $4 – $5 MIL per year – with some potential incentives. He can be your everyday 3B should A-Rod be gone for the season, and he can also play some 1B. Mark Reynolds 2B/3B/1B/DH: $6.0 in 2013. 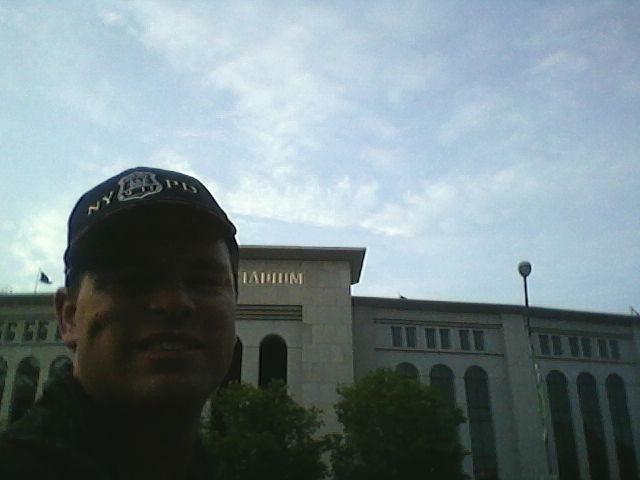 Andy Pettitte SP: 12.0 – He is retired. Joba Chamberlain RP: (1.9 in 2013). Say goodbye to this guy. Total for this Category: 0 dollars right now..
David Phelps SP: (480K) Would really save the club’s bacon by panning out as a Major League Pitcher. The organization needs quality players that are team controllable. Is Arbitration Eligible in 2015 and a Free Agent in 2019. Suzuki is definitely caught in a numbers game now. Maybe the Yankees will trade Gardner, and he can be the RF still in that event. With either Soriano or Beltran trading out of LF and the DH positions, it is crowding up pretty fast. The team may also DFA Vernon Wells in the Spring, as roster spots are quickly filling up. Suzuki had a down year in 2013. – hitting for a 3 Slash Line of .262/.297/.639 – after putting forth a line in 2012 of .322/.340/.794 in 2 plus months for the Bombers. I think the team should trade Brett Gardner for a Starting Pitcher of similar earnings for 2014. Brett Anderson of the A’s comes to mind. The club still needs to sign a SP for the $14 – $17 MIL range (Maybe Matt Garza) – and also sign Grant Balfour for about $9 – $10 MIL a year. This is about an addition of $19 – $22 MIL for 3 more players – and still stay under the $189 MIL goal. As stated above, they may be able to get a guy like Reynolds, to sign for a $3 or $4 MIL deal. 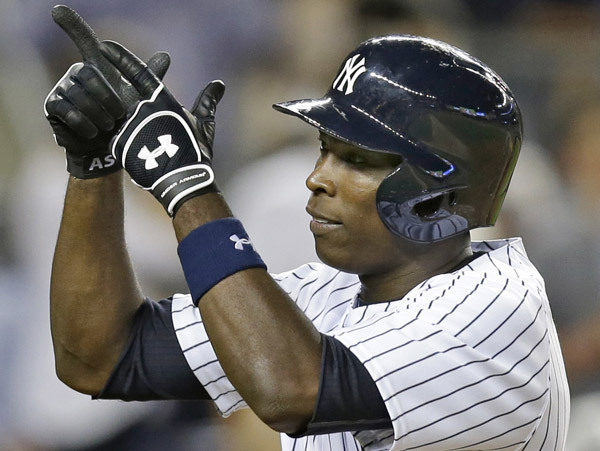 Alfonso Soriano, has given the franchise some optimism to maintain under the $189 MIL Threshold next year, by having . player signed on the line for about $5 MIL (After the Cubs pay $12 MIL.) He should be the everyday DH, who could also see some time in the OF, should injuries arise. 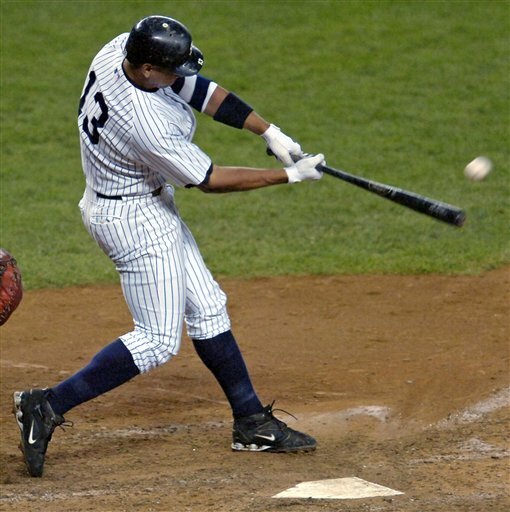 A lot of the Yankees flexibilities in team payroll, will be known after the A-ROD Suspension is finalized in January. Whatever happens, Cashman still has a busy winter ahead. Posted on December 6, 2013, in MLB Payroll and Contracts and tagged Atlanta Braves, boone logan, Brendan Ryan, brian cashman, Brian McCann, carlos beltran, cc sabathia, Cesar Cabral, chris stewart, Chuck Booth. 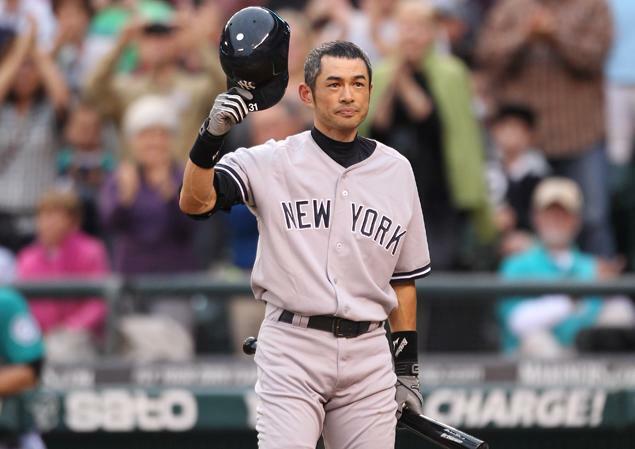 fastest 30 ballgames, cody eppley, curtis granderson, David Huff, david phelps, david robertson, dellin betances, detroit tigers, eduardo nunez, francisco cervelli, hiroki kuroda, ichiro suzuki, ivan nova, jacoby ellsbury, jayson nix, joba chamberlain, joe girardi, john buck, kelly johnson, kevin youkilis, lyle overbay, manuel banuelos, mariano rivera, mark reynolds, mark texeira, matt garza, michael pineda, New York Yankees Payroll 2014, omar infante, phil hughes, ricky nolasco, travis hafner, twitter @chuckbooth3024, vernon wells, Vidal Nuno, yankees 25 Man Roster, yankees 40 man roster. Bookmark the permalink. 2 Comments.